There are several things that unify us all, but the constant hope for peace, love, and bacon definitely top the list. 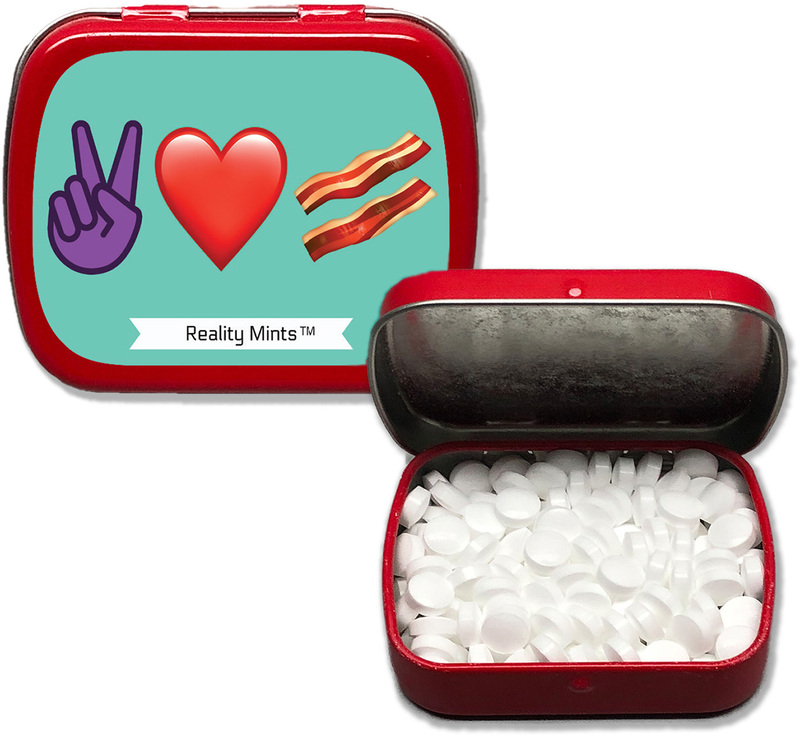 When you find you need to take a deep breath and really connect with what’s important, take a moment to enjoy some Peace, Love, and Bacon Mints. 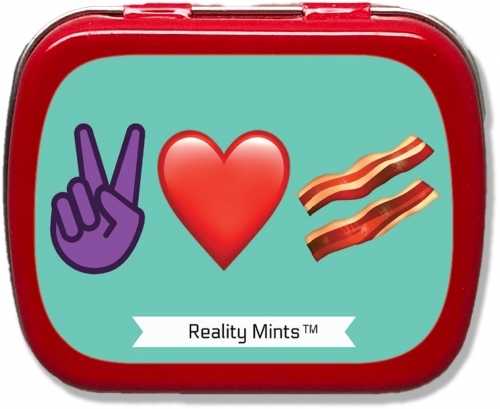 This adorable tin is a pocket-sized reminder of all the truly good things in life. 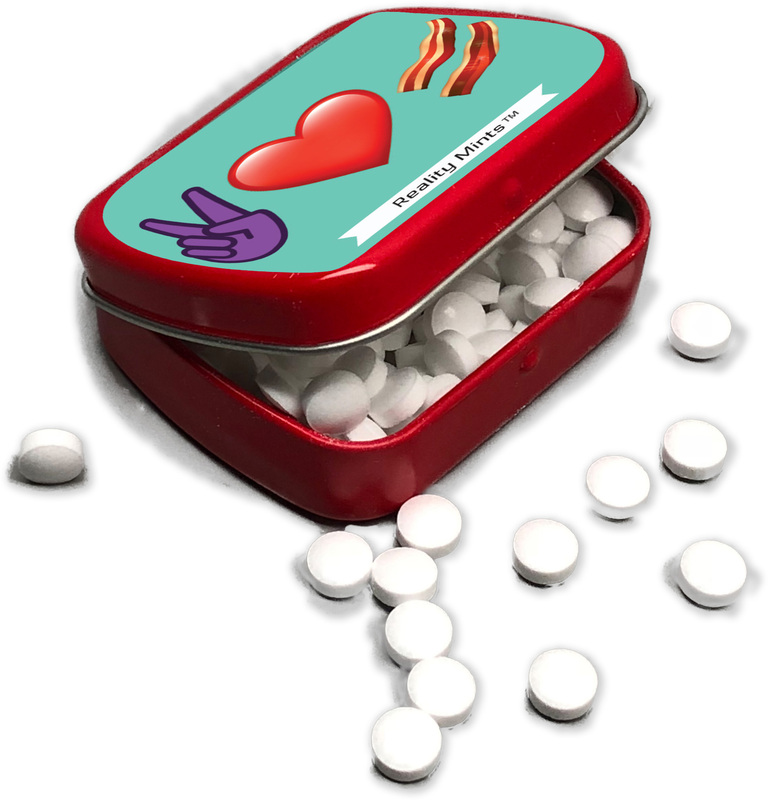 Peace, Love, and Bacon Mints are perfect for everyone who embraces living a simple, happy life with a full heart…and belly! 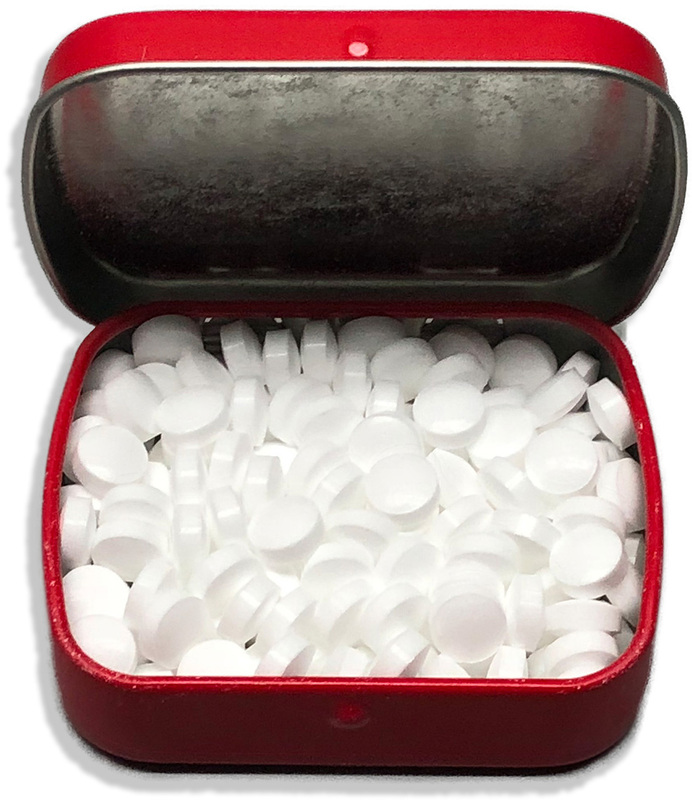 Filled with peppermint breath mints, this weird gag gift for children, teens, women, and men is a silly stocking stuffer, fun white elephant gift, wacky Secret Santa present or addition to birthday gift bags, care packages, or Easter baskets for kids and adults.